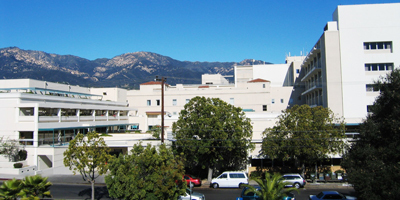 LSA prepared an Environmental Impact Report (EIR) for the City of Santa Barbara to address the potential environmental impacts of the proposed reconstruction of Santa Barbara Cottage Hospital. 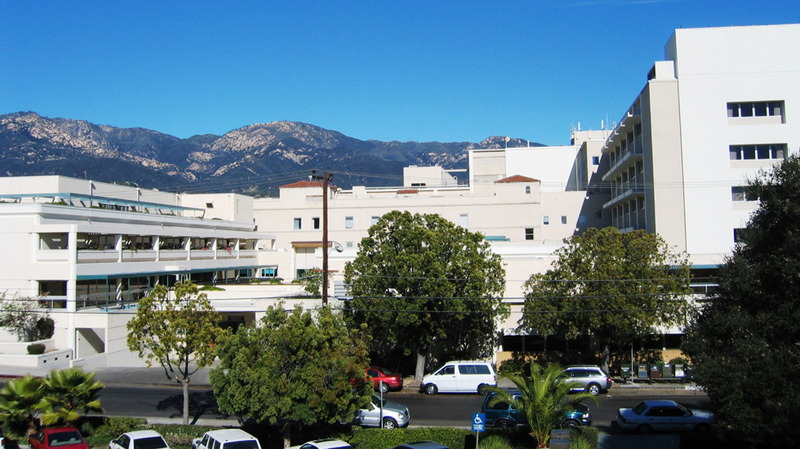 The construction project was proposed in order to comply with SB 1953, which requires that all acute-care hospitals be constructed in compliance with the Alfred E. Alquist Hospital Facilities Seismic Safety Act. 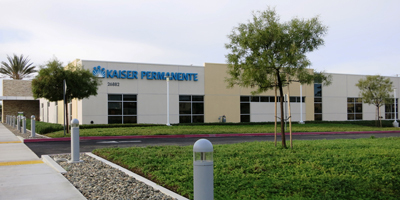 The Act requires that by January 1, 2013, all acute-care hospital functions be located in buildings that meet current State building requirements for hospitals so that they can be reasonably capable of providing services to the public after a major seismic event. 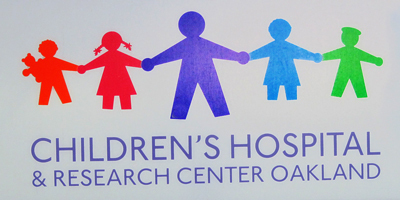 The project involves demolition of approximately 270,000 sf of existing structures, construction of an approximately 472,450 sf new hospital structure housing acute-care ambulatory and ancillary support services, construction of a helipad, two parking structures, and a three-structure children’s daycare complex, as well as the closure of Castillo Street between Pueblo and Junipero Streets. The EIR analysis prepared by LSA evaluated the potentially significant impacts of the proposed reconstruction project on the adjacent residents and medical office uses for the planned 9- to 10-year construction period, as well as the long-term operational effects. 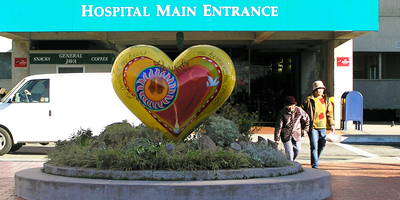 In addition to the proposed reconstructed portions of the hospital, the EIR analyzed a new hospital Specific Plan zone as part of the development application. This analysis addressed the potential environmental effects of future additional development within the allowed uses of the new hospital zone. Finally, the EIR evaluated potential cumulative effects of both the construction period and long-term scenarios. 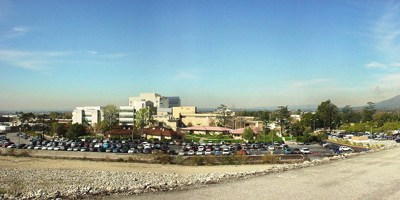 As part of the EIR analysis work, LSA conducted environmental technical studies, including traffic, parking, and neighborhood impact studies; air quality, noise and vibration impact analyses; and analyses of potential hazardous materials and water quality impacts associated with the hospital modernization. The traffic analysis required a tailored approach rather than standard methods of analysis given the distinctiveness of the hospital use and surrounding land uses. Noise impacts from construction, hours of construction, and proposed emergency helicopter noise were substantial concerns of the residential neighbors. The public also had concerns about hazardous waste, specifically perceived concern regarding pathogen-oriented waste generated by the hospital and the capability of the City’s sewage system to disinfect the wastewater. 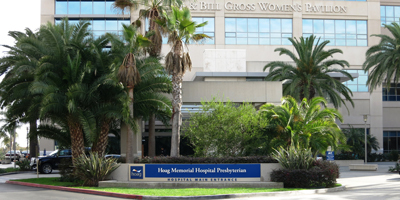 Additional evaluations conducted by LSA included a historic building evaluation, a visual impact assessment, a light and glare assessment, and a biological resources impact evaluation of a historic Moreton Bay fig tree, a specimen tree located at the entrance to the existing hospital.